Here is some uplifting music to help you enjoy your Easter break. 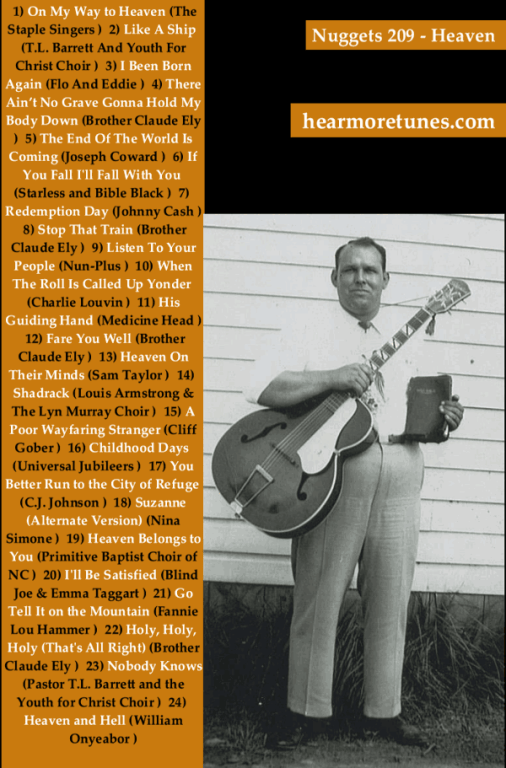 Find out more about Brother Claude Ely aka The Gospel Ranger, a great holy roller. Hmmm, why so troubled William?